This is a guest post by Taylor Hixson, who is currently working as the Resident Librarian for GIS at the University of Chicago. If you would like to share your experiences at a conference with RIG, please contact Kaitlin Springmier. For my first conference as a library resident, I attended Geo4LibCamp at Stanford University from Jan. 31-Feb. 2, 2017. Currently, I’m the Resident Librarian for Geographic Information Systems at the University of Chicago Library, and the unconference-style event focused on geospatial data repositories in academic libraries. While that may seem too narrow a topic to draw a crowd, this year’s camp exceeded its registration cap with 48 attendees. I wanted to attend because my job description said something about building geoportals, and I had no idea where to begin. I regularly use geoportals and created a couple spatial data metadata records in library school, but I knew there was far more to learn about building one from the ground up. In addition to attending five fantastic unconference sessions throughout the three days, there were presentations, lightning talks, and a great panel on Index Maps. 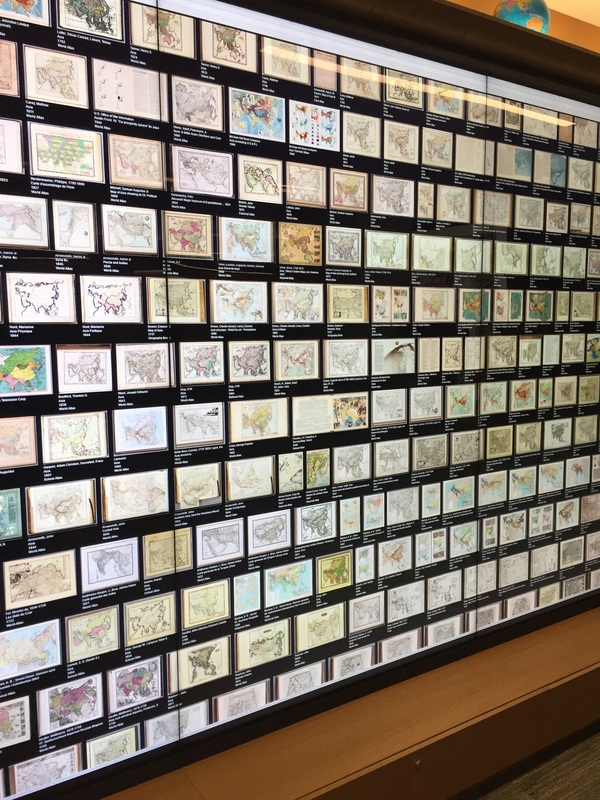 The conference attendees also got to take a tour of the new David Rumsey Map Center, which is what dreams are made of for map lovers. At times, there were conversations that were somewhat hard to follow as a newcomer to the world of repository software and developer tools. However, I was coming into the conference knowing absolutely nothing about spatial data repository tools and requirements. After three days at Stanford, I now have an idea of the time, technical infrastructure, and people-power it will take to get one launched. While I alone may not be able to complete a geoportal during a two-year residency, I can lay the groundwork. As a resident librarian with a subject specialty, I absolutely recommend other residents in a similar position seek out and attend niche conferences and camps. 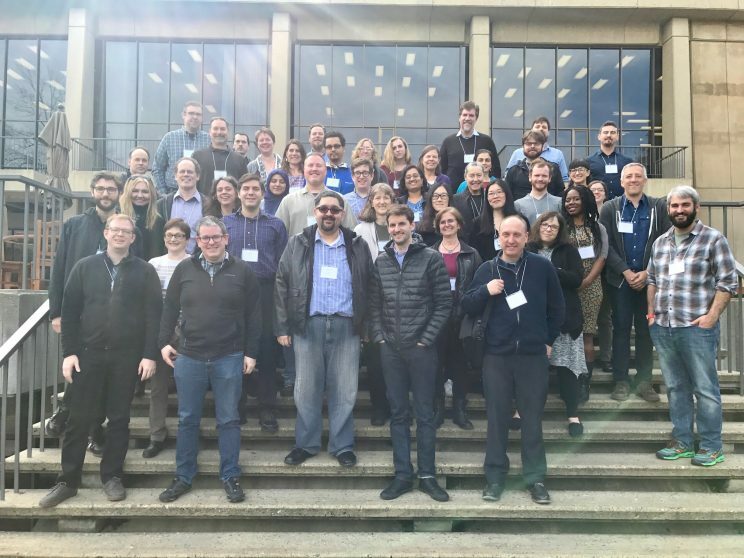 Even though a majority of the people attending Geo4LibCamp were far more experienced than me as a librarian, GIS user, or developer, it was exciting and refreshing to get to speak GIS and learn about how other institutions are handling user issues and creating library spaces for GIS. Overall, attending Geo4LibCamp was a fantastic opportunity not only as a GIS subject specialist but also as a library resident, and I’m looking forward to connecting more with the community and maybe even attending next year’s camp, too.